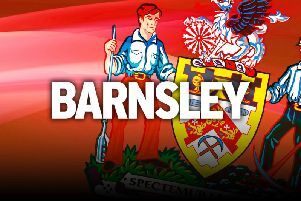 Reds’ chief Daniel Stendel has given the biggest endorsement of his Barnsley squad by saying that he does not need January recruitments to win promotion. The Reds completed a superb festive period on New Year's Day when they drew 0-0 at in-form Luton to make it 11 points from the last five games against teams going for promotion. They are six points off the second-placed Hatters but have played all-but two of the current top 10 away from home and are still unbeaten at Oakwell this season. Stendel does not have a shopping list for this month and thinks his side can attack the top two. “It was my first Christmas period playing football,” he said. “We have won games and are in the top six in the table. “The next games are a big chance to collect more points and maybe we have a chance of attacking the top two in the table. “At the moment, I expect that we play with our squad. We want to keep our players and I think we have a good team. The Reds were just the third team to stop Luton winning in the last 13 games with the stalemate at Kenilworth Road and they did it without chief marksman Kieffer Moore. Moore missed the last three games, first with a virus and then with a back injury. However, he is expected to be fit for Saturday's FA Cup game with Burnley. “We tried him on Monday, we thought he can play but he has problems in his back and it is not 100 per cent,” Stendel said. “And in the end we said, 'Ok, if we're not sure, if it's a 50-50 situation for us, and he cannot 100 per cent play then we decide together that it is best he stayed in Barnsley'. Dani Pinillos also missed out at Luton due to an injury picked up against Charlton, allowing Ben Williams to come in and have an impressive game. “Dani Pinillos had an injury after the game against Charlton and he could not play,” Stendel added. “Ben played a good game, it was not easy for him, he hasn't played in the first XI, he came in, played well.